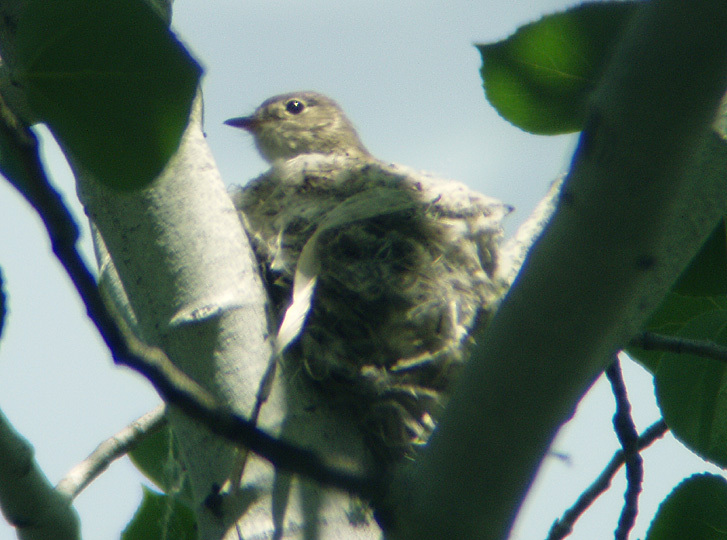 Least Flycatcher sitting on the nest it and its mate had been building high in an aspen near Hardy Canyon in the Wenas, Yakima County, WA. June 4, 2005. Digiscoped.